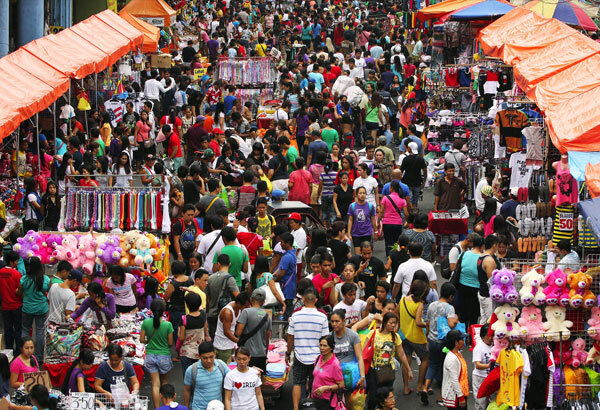 Divisoria isn’t just a mecca for cheapskates. Known as the haven for buy-and-sell entrepreneurs looking for products at cut-rate prices since the Spanish colonial period, Divisoria offers almost any imaginable product you can buy for your business. Indeed, many businesses started through simple bargain-hunting in Divisoria. Are you planning to start a buy-and-sell business but still clueless of what product to sell? Take a stroll at the streets of Divisoria to find the perfect item/s for your business. You can easily set-up your own fashion online shop or physical boutique since there are tons of RTW clothes available all over Divisoria. These products, which are mostly imported from China, can be bought in rock-bottom prices when purchased in wholesale. Toys are among the most popular merchandises in almost any part of Divisoria. Compared to toy products in shopping malls, toys from Divisoria are insanely affordable. A wide array of toys for babies to bigger kids and even adults can be purchased from several shopping districts in this area. It should be noted that toys from Divisoria are not as durable as those bought from popular toy stores. Party planners and stylists don’t need to splurge just to make their event stunning. Divisoria is a one-stop shop for your party needs. Party supplies such as balloons, banners, 3D mache letters, paper lanterns, garlands as well as party favors with various designs to choose from can be purchased from Divisoria. You can also outsource party hosts, magicians, clowns and performers from stores selling party goods. Lots of customers storm Divisoria during holiday season to buy affordable gifts for their loved ones. Business-minded people usually take this opportunity to buy and sell gift items to customers not willing to deal with all the hassle of going to Divisoria. In addition, corporate giveaways which are also sold in Divisoria, sell like hotcakes during Christmas season. Bakers can find affordable baking supplies and equipment in Sto. Cristo Street in Divisoria. Although you can easily purchase ingredients for your recipe in local supermarkets, Divisoria offers cheaper alternatives for those who want to start their baking business.